The monsoons have finally made their appearance and while the sun is still playing peek-a-boo leading to some pretty erratic weather, it is about time we discover and stock up on some products that are specifically for the humid, moisture laden season ahead. While I've previously spoken about beauty essentials for the rains, this post includes more recent beauty launches and since it is also part of the 'Beauty Queen on a Budget' or BQOAB series *which you've seen last in the winter* all the individual products listed are within an affordable budget of Rs.260! 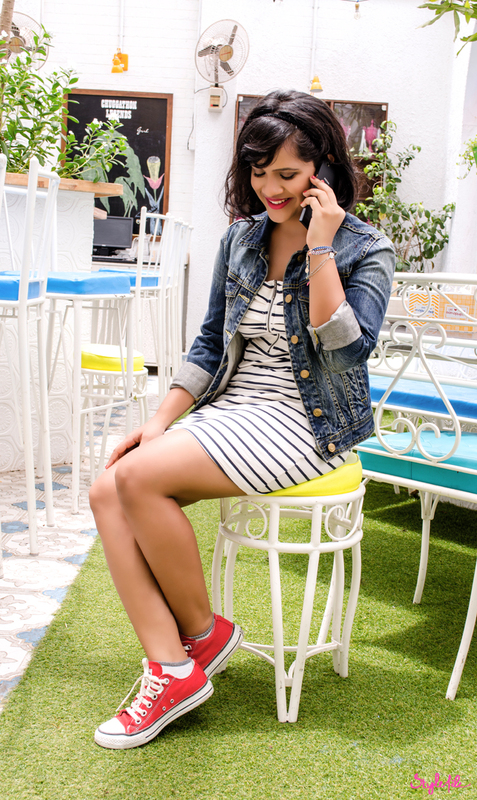 Even while sticking to a few of my summer staples, the summer months tend to be difficult for my hair and skin which means I'm mending any outbreaks and frizz well into the monsoons. Hence, in this edition of BQOAB, I'm focussing on the basics of skin and hair which are priorities in this climate. Availability: Easy. At all chemists and departmental stores. 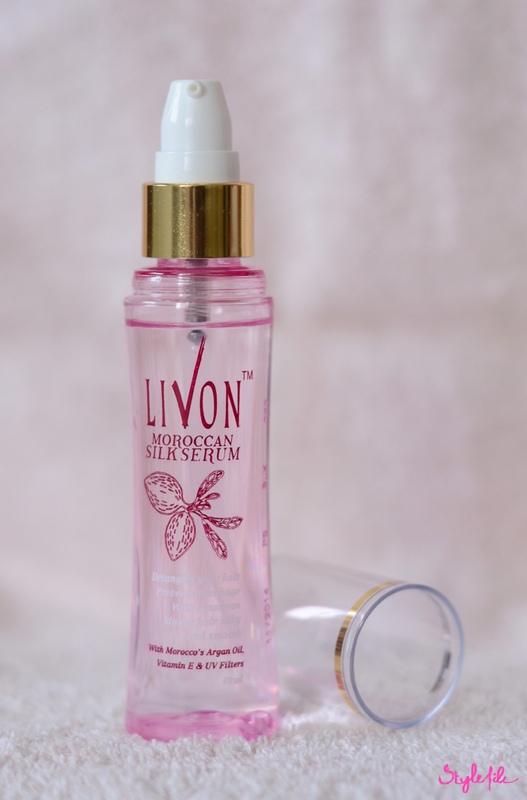 Even though the Morrocan Silk serum by Livon is a just few months old, it has definitely left its mark. Encased in a transparent pink plastic bottle with a press down pump and cover, the quality of the serum is pretty darn good. It has the consistency of a clear, runny liquid and is highly fragranced. Just 2 pumps of this is enough for my short hair when damp and I can definitely see the reduction of frizziness and a smooth finish once my hair has dried. So it's no wonder it's featured in my short hair maintenance routine too! You're forgiven if you've mistaken this for just another white bar of soap. Since it comes in a generic cardboard box and may appear to be the same, in actuality, it is Dove's beauty bar. The difference lies in the fact that while most bars are used only on the body, Dove's beauty bar is made for your face as well. 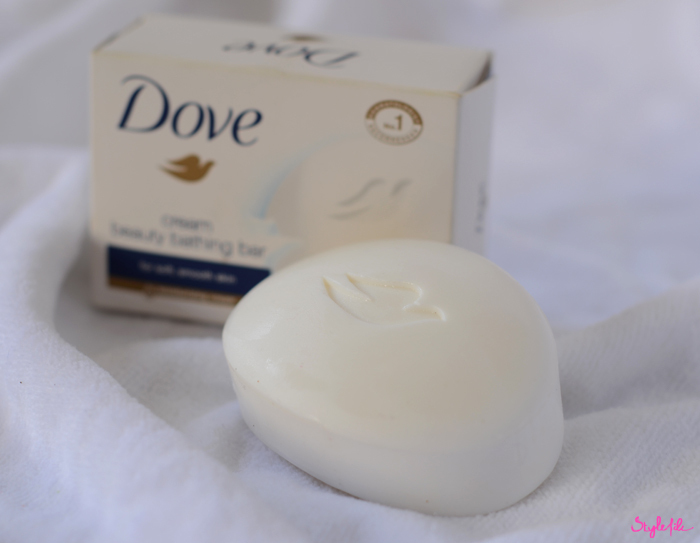 It lathers up well and has the distinctive fresh scent that all dove products have, which I love. While I haven't tried it on my facial region owing to my sensitive skin, the bar slides on the body with an almost buttery feel, giving a creamy, nourished feel after your bath. Availability: Easy. 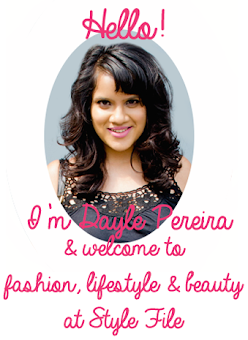 At all Maybelline kiosks and beauty counters. I discovered this product a few years ago, around the time that BB creams started popping up at every corner. 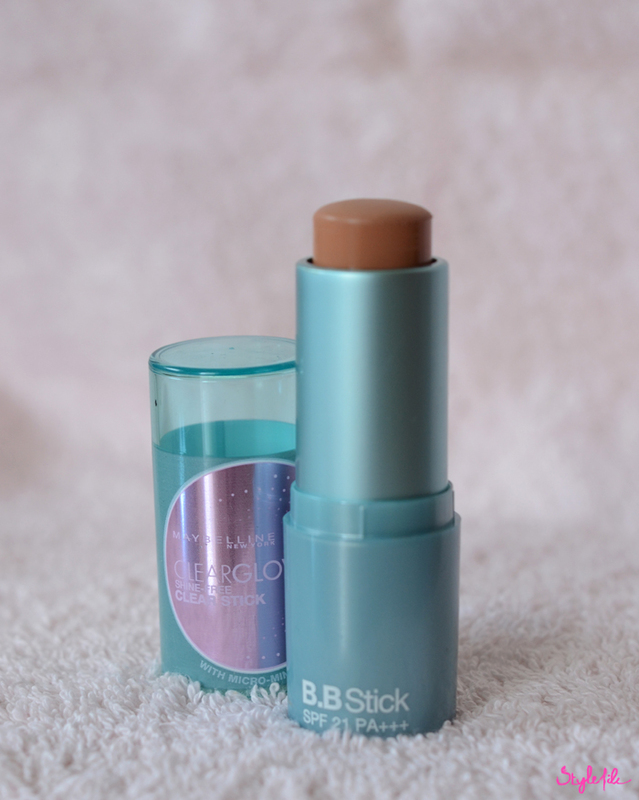 I was in a conundrum of taking a break from makeup while still needing coverage and came across the very first B.B stick from Maybelline, which comes in a teal twist-up plastic tube with a transparent cover. When directly applied to the face, it feels buttery smooth and settles in to my skin once I've buffed it in with a brush. The coverage is surprisingly good - it is around medium on a single application and can be built up with multiple layers. While I cannot promise you the shine-free claim on oily skin *I need to finish it with powder layer to mattify my skin*, it blends in seamlessly, has no white cast even with SPF 21 and lasts for a good chunk of the day. The fact that I've been consistently repurchasing this product for the past few years speaks even more of how much I like it. Availability: Average. At most chemists and departmental stores. 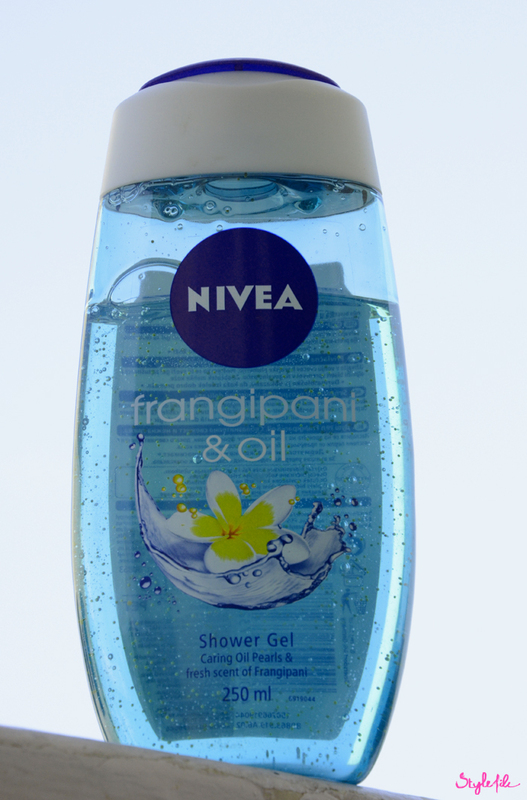 Whether you've got caught in a sudden shower or you're feeling sticky and humid, every monsoon day needs a refreshing wash to renew you and the Frangipani & Oil shower gel by Nivea is just what the doctor ordered. The shower gel is of a clear, slightly thick consistency with miniscule beads and comes in a transparent plastic bottle with a flip open cap. It is packaged prettily and although plastic, is sturdy enough to travel with. A few squirts of it on my loofah suffices for a complete body wash and the fresh floral scent lingers for a while after as well. Availability: Easy. At most chemists and departmental stores. When your skin gets clogged and breakouts start appearing, which is a general phenomenon that the monsoon bestows on us, all you crave for is clear, healthy skin. Which is why this face wash is ideal for this period, which its very name suggests! The consistency is that of a thickish gel in a clear green shade and it comes in a plastic tube with a flip-open cap. 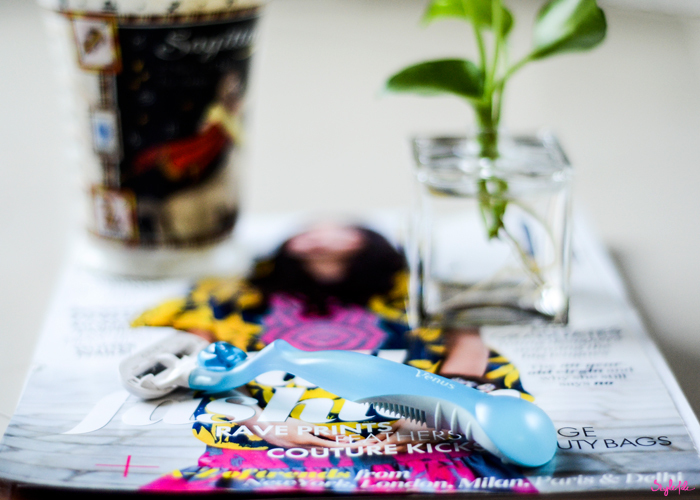 While I didn't have active acne while testing it, from the very first wash itself, I could feel a difference in the way it unclogged my skin and removed any traces of oiliness. The fragrance of the product is herbal with a citrus tinge, probably from the neem and lemon ingredients and the product is easily portable. 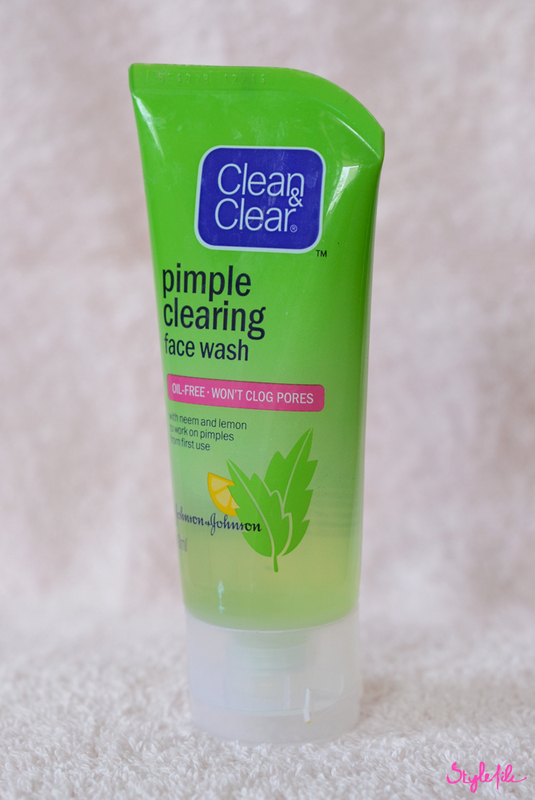 With the way my skin felt fresher and firmer without any dryness after just a couple of washes, I'm definitely turning to this on acne prone days. I hope my picks in this edition of BQOAB helps you out in the skin and hair department for the rainy months ahead ! The way I see it, mornings set the tone for the rest of your twenty-four hours so it's always a good idea to start them well. While my attempts at rising early may not always be successful; my mornings begin with my alarm buzzing and repeatedly hitting snooze until it is absolutely crucial to wake up. Besides my bedside is my night cream, fluffy slippers and since I'm fairly technologically savvy, my smartphone as well. After being introduced to Phicomm's latest smartphone, the Passion 660, I decided to take her along for a spin with my morning routine. Somewhere in between an adrenaline rushed workout and a nutritious breakfast, I settle down to skim the news headlines on the Passion 660's massive 5 inch screen; whose matte rectangular body with chrome edges fit comfortably within my palm. Post that, I jump right into my inbox and the Octa Core processor makes this a breeze. Switching between responding to mails and ticking off tasks from my memo can be completed swiftly, without any kind of lag. I've been an Android girl ever since I held a smartphone so the Passion 660's custom user interface supported by KitKat feels like home to me. It's easy to navigate between apps, to pull down my notifications as well as assign new widgets to my home screen. Plus, look at that full HD screen! The colours are bright and true to life while the display is crisp as a fresh pie crust. Then begins the next step of my day - stepping out. As evidenced previously, a good pair of sneakers always wins my heart. So throwing on a jacket with my striped dress and making my bed head as groomed as possible, today I'm stepping out with a chic, athleisure flair. The first stop of the day is a midday shoot with plenty of sunny skies that I'm savoring before the monsoons appear in full swing. A call in the midst of it all sure brings a smile to my face, especially since the sound quality of the Passion 660 triumphed over the sounds of breeze outdoors. The sun's playing peekaboo so while waiting for a peek of good light, I'm checking out my Twitter and Facebook pages. I might as well respond to comments and upload a picture of two from my gallery. 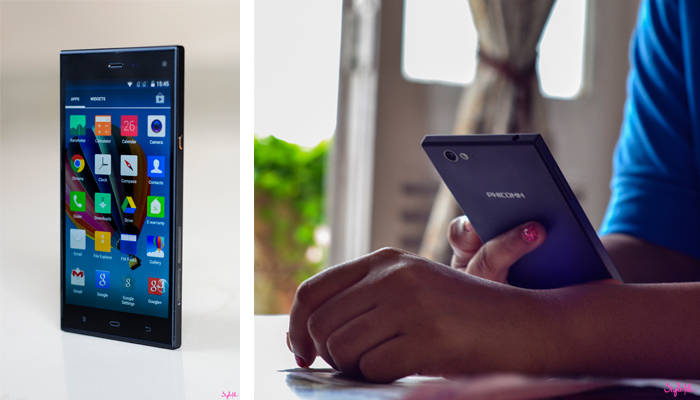 With 16 GB of internal memory, the storage space is plenty and can easily store a tonne of apps and music. Even if you tend to hoard up on images and TV shows because you feel like its a necessity to have on your phone *this sounds a lot like me! *; the Passion 660 can expand its memory upto 64 GB with a microSD card, which you can pretty much fit the whole universe in. It's time to wind down a manic morning with lunch but not before I Instagram it! 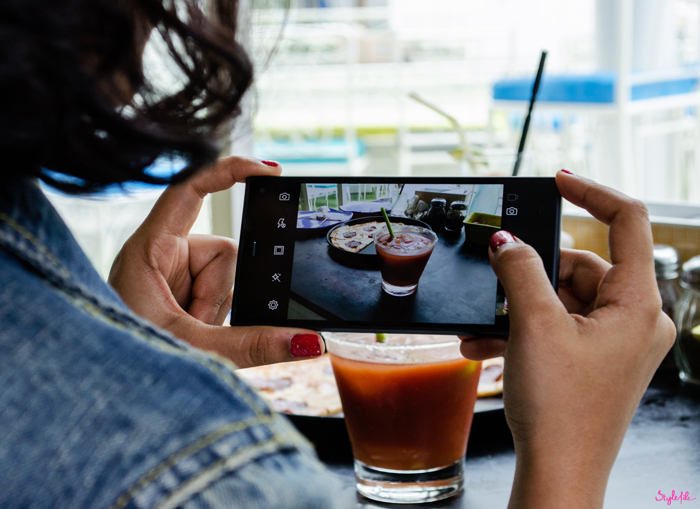 A selfie-queen will appreciate the 5 megapixel front camera that works smoothly, especially in natural light. While I get down to finding the ideal spot that makes our pizza and cocktails look even more delectable, the efficient 13 megapixel back camera and modes such as burst and anti-shake make my impromptu photo session even easier. As I finally settle down with a slice, the wave gesturing allows me to glimpse through my pictures without actually touching the phone, which makes the process quite an enjoyable one. 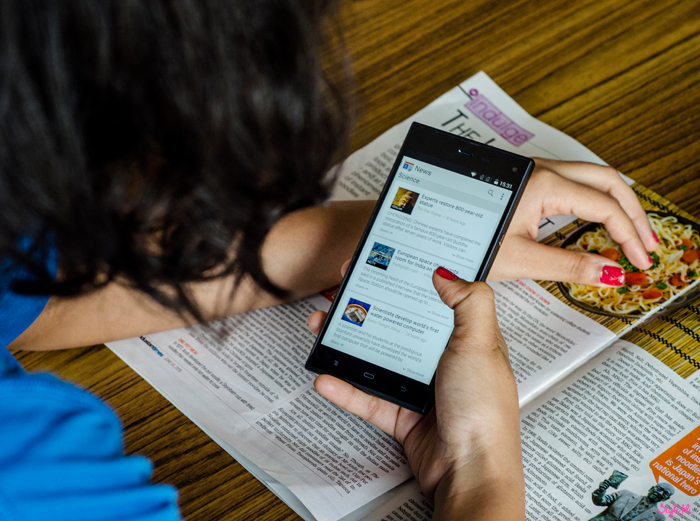 Even after an ample amount of browsing, clicking and gaming; the battery lasts me all day long. 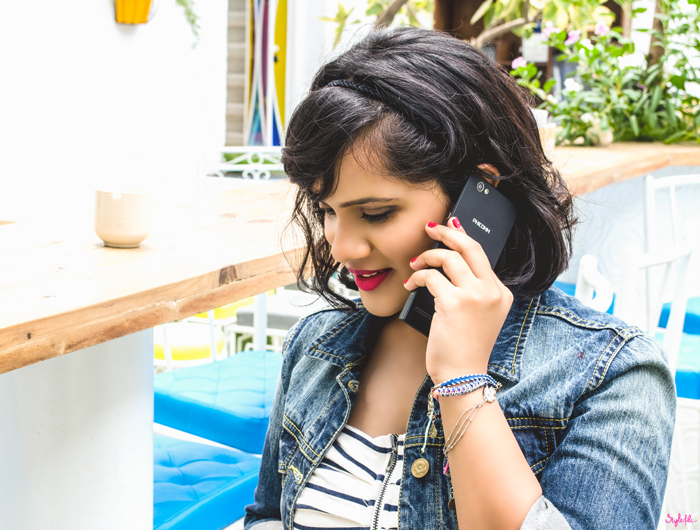 At the fantastic price of INR 10,999, the Passion 660 from Phicomm is a beast of a smartphone, with a beauty of a design. It packs powerful specifications with clean design at an unbeatable price so make sure you keep your eyes out for this one, I'm certain it will be the right choice for you. If you would like to know more on Phicomm, then please get in touch with Media Moments for further details. They say you find inspiration in the unlikeliest of places. While some find that the sky dotted with clouds or graffiti strewn walls speak to them, I've found a recent source of inspiration in Masterchef Australia. Wait, what? Well, its true. 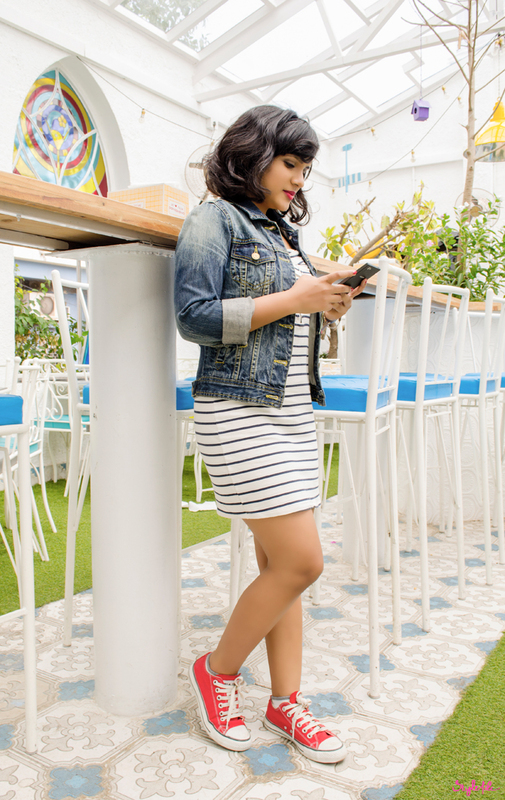 While I have been previously inspired by celebrities and even comic books, being TV show obsessed has led naturally to being inspired by fictional TV show characters from the Upper East darling Serena Van Der Woodsen to hilarious OBGYN Mindy Lahiri as well. After spending years of being glued to Masterchef Australia; my favorite of the entire Masterchef franchise; when the new season premiered recently, not only were my taste-buds salivating but my style sense was tingling as well. Even after so many seasons, I've never managed to pick my favorite judge mainly because George, Matt and Gary are all so expertly skilled, warm and easy to love. 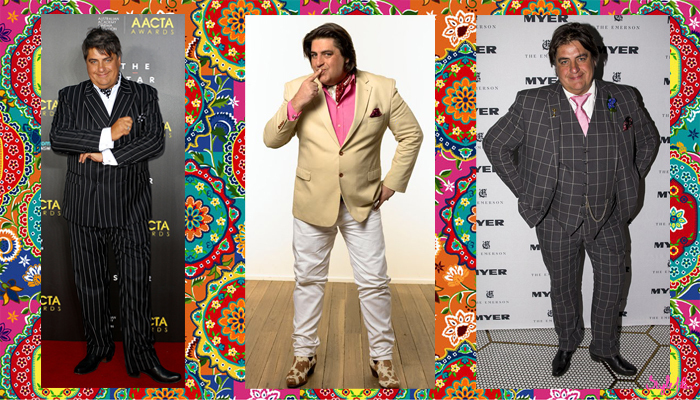 From a style perspective, the trio are impeccably groomed and suavely dressed - the most unique of them being Mr. Matt Preston. Preston dons many a hat (and all very stylishly!) as a restaurant critic, author, editor, columnist and television personality. 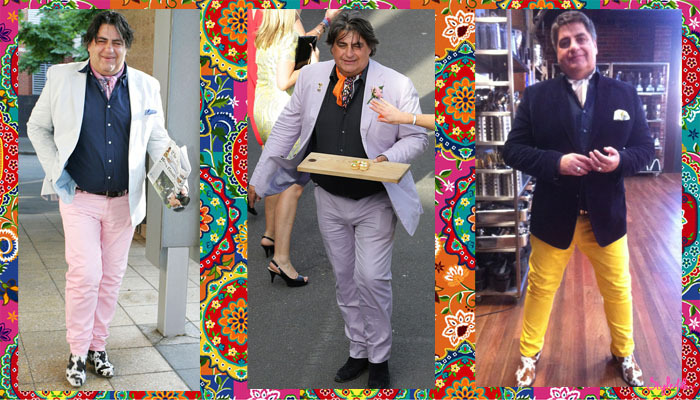 As part of the judging panel on Masterchef Australia, Matt's style has been greatly flamboyant and grand, while staying unique and refined all through the seasons. I've been keeping a keen eye on his sartorial choices and here's a breakdown on his looks, the trends playing in his closet and what we can learn from them. Colour can do so much for an outfit from brightening it up to adding an overall sophistication and no one knows that better than Matt. While he enjoys colour in every variation possible from bright tones to pastel shades, they are most preferred in trouser form which adds such a lively touch to the ensemble. Personally, menswear can be so meh but not with Matt. Just like his colour, he likes prints in plenty, most of which are in the checkered, geometric family from plaid to windowpane to harlequin. Prints are often a staple in his bottom wear and to pull the look together, are accompanied by a neutral, solid blazer. Talk about cravats and Preston is the first to come to mind. 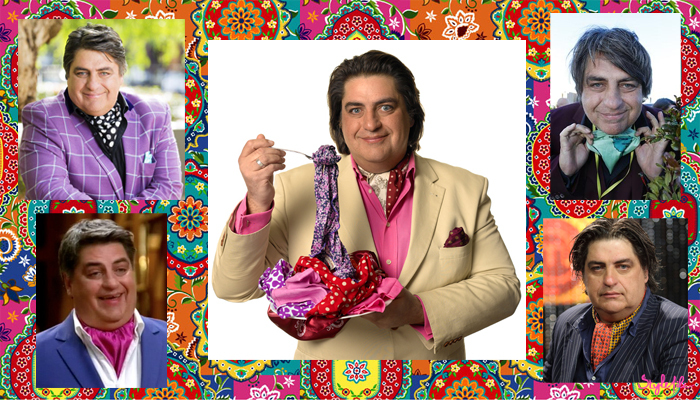 What started as an attempt to experiment with his style turned into a constant cravat craving that sees the Masterchef judge donning one along with a pocket square regularly. His neck accessory is also an ingenious source of print mixing as his cravats are often in bright contrasting colours and delicate prints. Matt has now come to be associated with the accessory to such an extent that they now decorate his twitter and instagram handles as well. No menswear piece can be as dapper as a suit and when Preston wears one, you can be assured that it's going to be resplendent and unique. Often seen in a suit and waistcoat, Matt adds his signature blend of prints, colour and accessories like a cravat, pocket square or tie to create a glorious ensemble that sets him apart. He's also probably into cow prints based on how he adores those shoes. 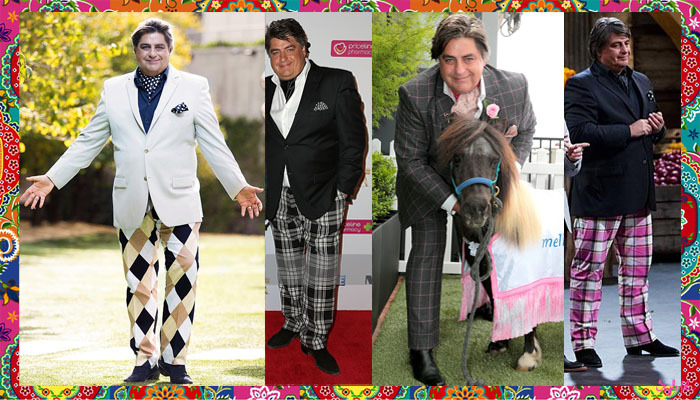 So Masterchef Australia isn't all about pressure tests and phenomenal cooking, it also has a fashion icon in its midst. Matt, I'm definitely taking a cue from you and wearing the bright bottoms already! I'm in a tumultuous relationship - with the weather. When it is pouring cats and dogs, I crave for spring. When I'm heady with the heat, I crave for winter days. And post the year-end festivities, I long for the endless month of May. Another relationship that leaves me longing for more is my summer loving one. That is probably because my summers have always been spent full of nothingness, something I thoroughly enjoy doing. This year I've spent most of it beating the heat with cocktails, cupcakes and cliff hanging, all in style. And while we're talking about summer style, it's imperative to be practical during this time; which calls for a little Liva in our lives. The fabric can be akin to a second skin - it allows your body to breathe, its flowing, light drape moves with your every step and its incredible functionality can take you from dawn to dusk in complete ease. Since the dark clouds and gloomy skies are only a few weeks away, I've made it my mission to savor every last drop of the season and do whatever the summer calls me to do. Take a dip in the beach. Relish a mango. Get a pink lip on. Feel the wind in your hair. Eat gola. Go for a midnight drive. I'm going to do every prerequisite that the season calls for and I urge you to do the same. 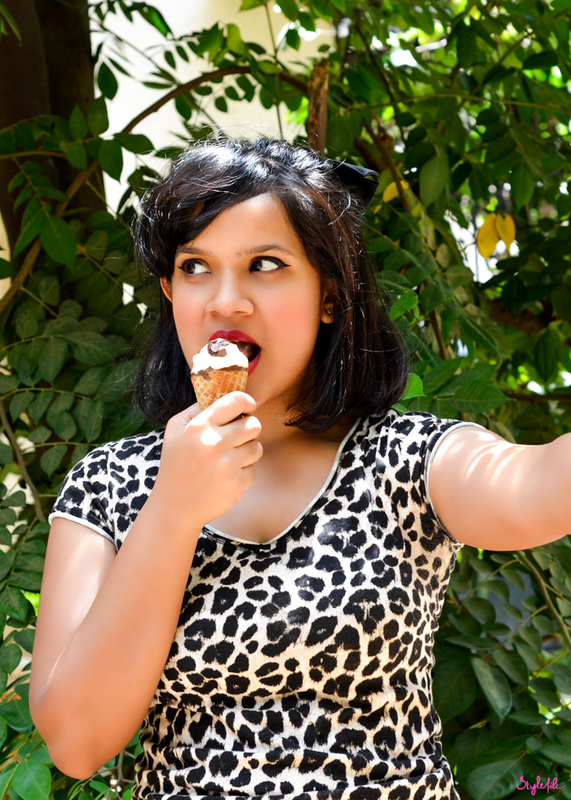 Getting my #Sunfie game with an ice-cream and not a care in the world ! And while you're doing all of that; make sure you take a selfie, or better yet, a sunfie. Capture the best of your style, your travels, your delicacies and your fashion on Facebook, Twitter and Instagram by using #Sunfie in your posts. 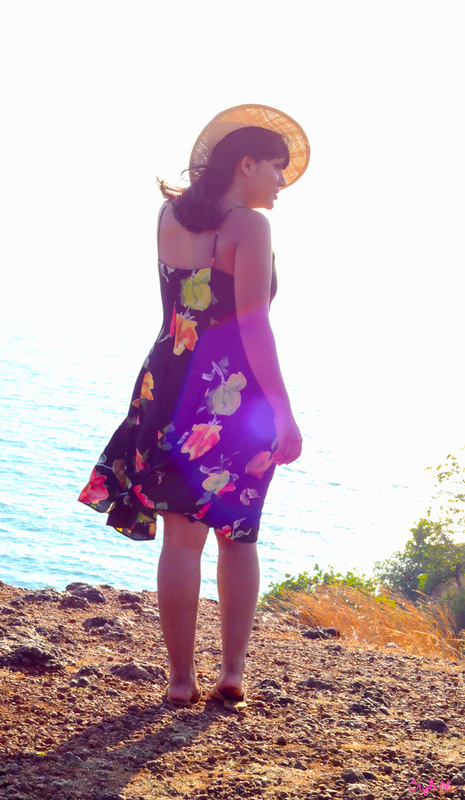 Chase the very last days of these sunny days and make them ones to remember. 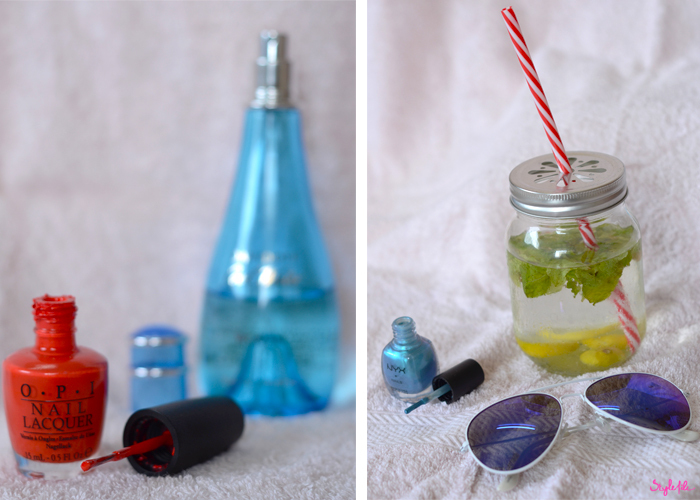 So don't wait a second longer and seize the remainder of the summer by sharing your #Sunfie!